Reported by the United Nations Environment Programme, the need to feed a growing number of people globally has led to more land being converted to cropland. If the current trends of unsustainable land use continue, nearly the size of Brazil of natural land may be degraded by 2050. In responses to the land degradation, people from Taiwan and Hong Kong determined to find a possible solution to save our planet— back to nature! Vietnam has been severely influenced by climate change and its "rice bowl", rice cultivation in Mekong delta region is being threatened. Rice-shrimp farming system has been popular in Mekong delta region in recent years since farmers can no more produce rice all the year due to water level rise. They put money and effort in rice-shrimp farming system to remain income. However, the risks of water level rise is annoying and threaten rice production. Vietnamese government has been working with Chinese government to tackle this problem. In the meantime, Yuan Long Ping, the professional scentist in rice cultivation has led a young team in Qing Dao to invent "Hai Shui Dao". which the rice specie can grow in saline water. In the turn of the 21st Century, natural disasters around the world hard hit producing countries, leading to crop failure. Food prices skyrocketed and food security was threatened. Warren H. J. Kuo, professor of Agronomy in Taiwan was alarmed by the declining self-sufficiency, seeds being controlled by international corporations which exploit farmers’ rights, and farmers have been losing the techniques of breeding and preserving seeds. He believes that seeds are our only hope. 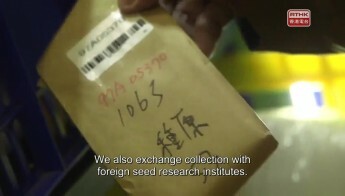 By the end of the last century, Taiwan built the largest seed bank in Asia, to ensure that the preserved seeds will remain intact after many generations. However, if by then the world, the climate and the soil will have changed indefinitely, could those frozen seeds of few hundred years ago possibly sprout? Du Yi-jhong, a farmer in his seventies, living in the mountainous region of Pingtung, has preserved the taste of millet from his childhood grown by his parents. The secret is continuously growing the seeds in the soil, year after year. The taste of the millet is sealed and passed on to his son. Shi Ming-huang, a bakery owner living in Changhua County, realized that one of the staple food of Taiwan, wheat had been disappeared from the farmland for five decades and the country has been completely dependent on import. This realization urged him to become a wheat farmer. In 2012, Katharina Unger, then a student of industrial design in Austria, came to Hong Kong for a short-term internship. By the meantime, she sought inspiration for her graduate project, entitled “Future Food”. Hong Kong, a metropolitan flavored with international cuisines, shocked her in a curious way: The market was stuffed with food items of great varieties, where did they come from? Why did the Hong Kong people seem to not care in the least? Later, she designed an insect breeding unit to grow protein for household use. This was her first endeavor to seek solutions for food sustainability. After graduation, she decided to come to Hong Kong, to turn her dream into entrepreneurship by producing and promoting the insect breeding units. Immediately, she was confronted with hurdles. Was it possible to find edible insects in Hong Kong? Was it possible to find a factory, willing to invest into the future with her, to manufacture an order of a small quantity? The future is not beyond reach for Katharina. She is now working with Han Wösten, a Dutch microbiologist to turn plastic into edible fungi. Can we one day solve the problem of plastic waste in big cities, by simply swallowing it? Denmark, a small Nordic country, is consistently in the top ten happiest countries in the world, according to the World Happiness Report by the United Nations. In recent years, Danish people tackle the issue of food sustainability in their unique way. From 2010 to 2015, food waste greatly reduced 25%. In the past, the Danish royals used to import exotic delicacies to signify their noble status. Nowadays, the Danish Princess is down-to-earth, promoting the idea of eating expired food. She attended the grand opening of a supermarket in Copenhagen, the first in the world to sell food surplus. Likewise, Danish people are down-to-earth when food is concerned. Cultural sociologist, Søren Espersen forages in cities, forests and seashores for edible wild plants and fruits. He published a foraging guide book to educate treasure hunters. Nordic Food Lab at the University of Copenhagen is certainly an avant-garde food research institute. Roberto Flore explores experimental cooking with weird food like tree bark and a deer brain, intending to rediscover the recipes of the old days and search for new food resources. Located in the Caribbean Sea, Cuba was used to be the backyard of the US, however, right after the revolution overthrowing the governing sovereignty in 1959 and the establishment of a socialist republic, sanctions have been imposed on the country by the western world. From the 60s to early 90s, Cuba received tremendous subsidies from the USSR, for which Cuban people enjoyed decades of thriving. Unfortunately, the subsidies ceased to exist almost overnight with the dissolution of the Soviet Union, thus Cuban people fell victims to the verge of famine. Nevertheless, in 2006, barely fifteen years afterwards, Cuba had already got rid of hunger and transformed into the only country in the world to reach a sustainable development (WWF report). Cuba has maintained the status since then. How did Cuba, an isolated Latin American country under an embargo, miraculously erase hunger from her continent? 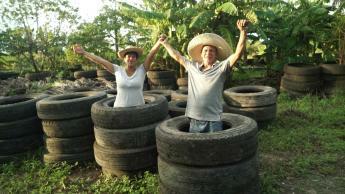 The story of a veteran, Rubber Man, is about recycling waste materials – abandoned tires to transform a barren slope into farmland. The story of a farmer, Miguel, is about fulfilling a humble wish of self-sufficiency, leading him to have created an agro-ecological farm, which attracts foreign scholars and agriculture researchers to visit and study. The story of Fernando, an educator and scholar educated in Holland, is about his commitment to the agriculture of his home country, by setting up a farm named after his mentor, who was his mother, to explore the conservation of traditional wisdom and the development of the rural area. The sustainability story of Cuba is a legend emerged from adversity. Traditional animal husbandry occupies 30% of the earth’s surface, consumes 25% of the fresh water and emits more greenhouse gases than land, sea and air transportation combined. A dozen years ago, Food and Agriculture Organization of the United Nations stated that livestock raising was a major stressor on many ecosystems and addressed the issue of animal welfare. Can human beings stop eating meat? In recent years, meat production is approaching sustainability while animal farms have been installed in science laboratories. Are we marching towards a future of meat consumption without blood shedding? In 2013, a burger priced at HK$ 2,500,000 debuted in a press conference in London, creating a sensation. 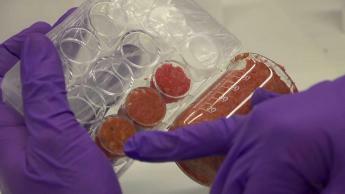 Mark Post, a Dutch professor of vascular physiology showcased cultured beef, which was lab-grown meat developed from the stem cell technology applied in growing human tissues for transplantation. In the US, food tech startups are flourishing to develop vegan meat. How does it take to build animal proteins out of plant proteins and create vegan meat with taste, texture and flavor that could possibly rival real meat? Scientists need to decode the secret of meat. Biological engineering professor, Fu-hung Hsieh, a Taiwanese residing in the US successfully recreated the texture of chicken. Emeritus professor of Stanford University, geneticist Patrick Brown discovered that the unique flavor of beef could be extracted from plant. In the last century, the world saw the success of the Green Revolution. With the mechanization in agriculture, and the widespread use of fertilizer and pesticides, crop yield has multiplied in a few decades. Hunger was greatly reduced around the world. 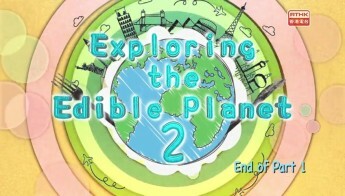 In the meantime, the earth has been impacted with harmful consequences. The current farming practices can no longer meet the challenge of food insecurity in the future. The food industry, driven by technology, has been deviating from the path of sustainability. In the present era, the growth of environmental consciousness and the sense of localization motivate creative minds to apply advanced technology and traditional wisdom in the search of solutions for food sustainability.